This article was contributed by Brian Casel, founder of Ops Calendar, a content calendar tool that automates your marketing work. They recently published an eBook: Your 90-Day Marketing Plan. This article takes an idea from that book — customer personas — and shows you how to use them to power your cold email outreach. Take it away Brian! Have you ever sat staring at your screen, wondering how to get started with planning a cold email campaign? It can be kind of nerve-wracking. You’re ready to begin a big marketing “push” and you need a list of leads, but you don’t want to blow your opportunity. So, how can you ensure that you’ve done your best to create an engaging campaign? A strategy to help you gain some focus and better understand what will resonate with your leads is to try to put yourself in their shoes. This means understanding who your target customer is and creating detailed customer personas to better address their needs and interests. A quick perusal of studies on the effectiveness of email marketing shows us a couple of things immediately: a) email campaigns do still work but, b) you have to be savvy to get your campaigns noticed, then acted upon. The old “you’ve got mail!” days where people were excited about it are long behind us — we’re all battling crowded inboxes. According to Hubspot, the average person takes just 5 minutes each day to delete 48% of the emails they’ve received. A lot rides on the subject line — is it an appropriate length? Do the words used resonate with the lead or do they scream “sales” and cause them to delete immediately without opening? If the person does open the email, it needs to be enticing enough to encourage them to read it, then take the appropriate action that you want out of it. The average open rate for emails sent in North America is 34.1%, and the click-through rate is much lower at 3.1%. The goal of using clearly defined customer personas to aid you with planning of your cold email campaign is to not only get over that first impression hurdle, but to improve your chances of getting the result you would like from the lead. You want to speak to your specific audience, rather than using language that will put them off or trying to capture everyone with one email. Before you’ve jotted down any copy for your email campaign, it’s important that you’ve done the work to create detailed customer personas. This involves gathering data that helps you to compose a “sketch” of the customer, including demographic information, goals, challenges and motivations. Your business probably has more than one target customer persona (most do), but this is useful information when it comes to your email campaigns, too. Will you use this to segment your leads and send out emails that are targeted to the particular customer persona? In my businesses, we have a practice of creating detailed customer personas as a key first step ahead of any marketing initiative, although we look at them much earlier than that. Customer personas also help with the product development stage, when you’re working to ensure you have validated the market. The image below shows an example of the buyer persona planning document we built for our product, Ops Calendar. (You can download and use our template here). Let’s consider the circumstances under which you might send a “cold” email. You may have gathered leads automatically through them, signing up for some kind of lead magnet, thereby automatically qualifying them in some way, or, if you’re in the kind of business that might pitch your services to others (such as consultants), you might be working from a list of contacts you have put together through other means. 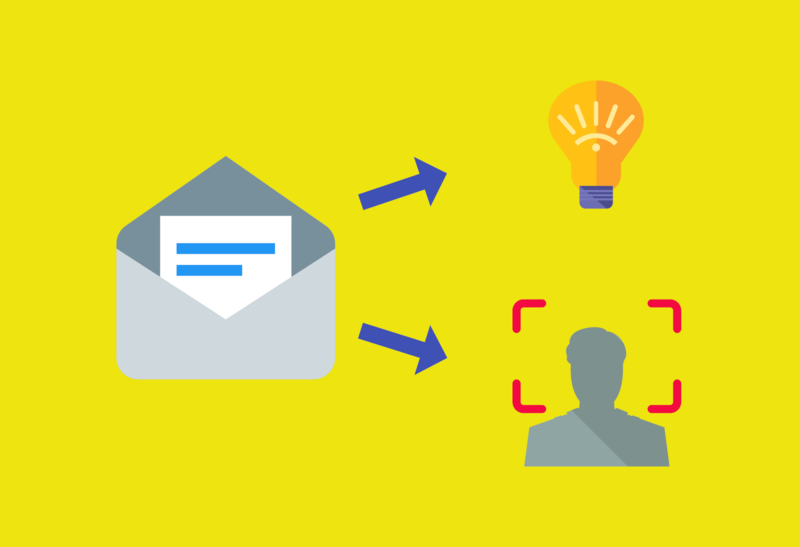 Either way, your customer persona can be used to qualify leads before sending out an email to them. The idea is that you want your email to be highly relevant to them, so this means that a targeted approach is best. You have to know that it’s not a complete waste of time sending emails to those contacts. For example, if your target market for a particular campaign is small online business owners and many of the leads you have aren’t, this could be a factor that you use to segment your list so that emails only go to the business owners. Even if you have another target persona who isn’t a small business owner, you probably don’t want to be sending them the same email campaign as you’ll either water it down for the business owners, or you’ll be completely irrelevant to those who aren’t. From another perspective, doing the work upfront to qualify leads based on the customer persona you are targeting should actually save you time on the long run. You can avoid spending too much time responding to queries from people whom you’ve blanket-emailed who just won’t be a good fit for your product or service. It’s a way to get better leads by eliminating leads, if that makes sense! How do you really capture the attention of those you are emailing? Take a minute to think about your own inbox and the emails that you open immediately. The chances are you open them because the subject line somehow speaks directly to you. It evokes some pressing problem you have or describes something you have a keen interest in. Your customer persona helps you to get very specific about what those problems or interests are for your target market. They help you to be so intimately acquainted with a problem that you can describe it in a way that is almost tangible to the lead. For example, if I were to think about the persona of “Founder Fred,” which you can see in the image of the planning document, this persona is highly concerned with the company’s content marketing efforts and feels that there is a lack of momentum in its marketing. A poor subject line may be bland or too focused on the product rather than the customer, for example; “Automated content marketing software.” If you haven’t clearly defined your customer persona, a poor subject line may even focus on the wrong priority or problem for the customer. This may be related to the problem they are having or may parallel it somehow. Part of a thorough customer persona is to understand what they might be focusing on right now, particularly anything that is somehow relevant to your product or service. Going back to our “Founder Fred” persona, he has a couple of focuses going on. Firstly, Fred is planning a new or renewed marketing push for his service and secondly, he’s actively hiring marketing people for various roles and is concerned with having good systems to manage them. Is that something we can talk about in our cold email campaign? You bet! These focuses of his align with the service we are offering. Any time we receive an email from a stranger (or relative stranger), we’re going to want to know who they are and why they should matter to us. What qualifies them to resolve the particular problem we have? You’re aiming to build credibility and trust and to do that, you need to understand the customer. What does trust and credibility look like to them? What really matters to them when it comes to choosing products or services to work with? This might include things like experience or qualifications that give you authority, or just some kind of commonality you have that will be relevant to them. Understanding these things about your target customer can also help you to develop the kind of “voice” in your emails that will resonate with them and help them to engage with you. If you’ve spent the time creating detailed customer personas, it’s time to put them to work by ensuring that any cold email outreach you devise is speaking directly to your target persona. Don’t let another “blanket” email go out and impede the effectiveness of your marketing! If it’s time for you to start your own new or renewed marketing push, check out our free 90-Day Marketing Plan here. Ready to automate all of those recurring marketing projects and plan your next marketing and sales push? We built Ops Calendar just for that. Brian is the founder of Ops Calendar, a content calendar that automates your routine marketing tasks. He and his team help founders, marketers, and agencies run a tighter, more streamlined operation that can scale.